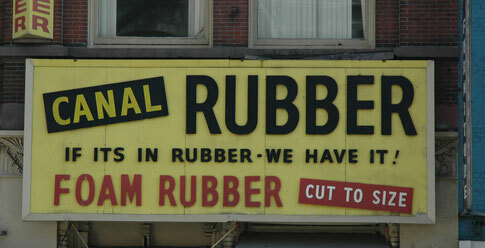 The Fair Rubber Association was founded six years ago this summer, but its history goes back twice as far. The initial idea was driven by the attempt to apply the concept of Fair Trade to products made from natural rubber – without unnecessarily adding to the costs and audit burdens of supplier partners: Many of them are not only audited against ‘social standards’, but also against environmental criteria. As no other Fair Trade label was taking on rubber, we helped our supplier partners become Forest Stewardship Council (FSC) certified. FSC criteria ensure sustainable forest and plantation management, and (on the plantation level) audit against all the important labour standards as established by the International Labour Organization (Geneva). We took this as the baseline and added the (self-monitored) payment of a Fair Trade premium in conjunction with regulations on the decision making and usage of this ‘extra income’. By choosing this path, the Fair Rubber Association had found a way that avoided an additional audit for its partners (i. e. one for Fair Trade and one for the environment). Unlike the ‘big’ Fair Trade labels it even helped pay for the FSC audit, rather than requiring its partners to pay – without any guarantee regarding future sales of rubber under Fair Trade conditions. Unfortunately this approach has not been met with much understanding: For years FSC more or less ignored our work on this ‘non timber forest product’ – and when the potential was finally recognised FSC pushed for certification of ‘big players’; the pioneer members of the Fair Rubber Association were seemingly overlooked. Consumers, too, seem to have trouble understanding the link between ‘rubber’ and FSC, and between ‘FSC’ and ‘social standards’: More often than not we were not seen as a ‘genuine Fair Trade organization’. With more than a dozen companies now selling products with the Fair Rubber Association logo – the Annual General Meeting decided that we had grown to a point where we needed to try and change this perception: We are now working on ‘stand alone’ Fair Trade criteria, to be audited by independent auditing agents, but without creating extra costs for our partners. The new criteria will include some environmental standards, too, but FSC will no longer be a requirement. We hope to implement this new approach by the end of this year.